One of the challenges of working with data is working with dates. The first two are well known. The third one is newer and not yet widely used. For completeness, all three are detailed below. Date is just that, a date with no time component. · Use it whenever you need a date without the time, such as a birth date. DateTime is the date with a time. · Use it whenever you need a date with the time, such as an appointment date. DateTimeOffset was new in SQL Server 2008. It represents a date and time with time zone awareness. The -08 represents the time zone offset from UTC (Coordinated Universal Time). I’m on Pacific Standard Time right now, so this is my UTC. · Use it whenever you need a date and time with knowledge of its time zone, such as a purchase date. If you ever need to track transactions or other activities across time zones, the DateTimeOffset is the perfect choice. For example, say a pair of woolen socks was purchased at 10AM in New York (10:00:00 -05:00). Sunscreen was purchased at 9 AM in San Francisco (9:00:00 -08:00). If the orders are processed in the sequence in which they were received, the New York order must be processed first. Since the dates are time zone aware, operations such as sorting and less than / greater than will correctly handle the dates. No need to convert the dates to UTC. There may be times you need to build a DataTable using code instead of retrieving the data from a database. This post provides the code for building a DataTable using VB or C# code. The code starts by creating a new DataTable. This one is called "Customer". The next set of code defines the columns. This example demonstrates how to build integer, string, and date columns. Finally, the last portion of the code populates several rows in the DataTable. Use this technique any time you need to build a DataTable in code. EDITED 4/17/10: Corrected an error in the C# code data. Whether it be SQL Server, Access, Oracle, or mySql, most applications write to one kind of database. But what if your application requirements are such that you have to support multiple database types? Then the DbProviderFactory is for you. For example, say you are building a product to sell to HR departments. Some of your customers want to leverage their existing SQL Server infrastructure and will only buy the product if it supports SQL Server. Other customers want your application to work in an all Oracle environment, still others would prefer mySql. So what do you do? Build multiple versions of the product? No need! Part of ADO.NET, the DbProviderFactory allows you to have one set of code that works with any type of database that supports a data provider such as ODBC, OleDb, or SQL Server. The code below takes a stored procedure and a set of parameters and returns a DataTable. You could easily adjust this code to take a sql string instead of a stored procedure or to return a DataReader instead of a DataTable. NOTE: This post assumes you already have a stored procedure defined to select the required data from your database. For more information on stored procedures, see this link. NOTE: Be sure to import the System.Data, System.Data.Common and System.Collections.Generic namespaces. The ExecuteDataTable function is in my Dac (data access component) class and defined to be public and static (shared in VB). It is public so it can be called from any other code. It is static/shared because it does not use or retain any state. That allows the function to be called without creating a instance of the class containing the function. NOTE: The structure and syntax of stored procedures in other database platforms may differ. The second parameter is a Dictionary that defines any parameters required by the stored procedure. The dictionary key is the name of the parameter and the value is the value of the parameter. In the CustomerRetrieveAll example, there are no parameters. But your stored procedure may have parameters to filter the data. The first line of code defines a variable for the DataTable. It is used as the return value from the function. The next statement sets up the data provider factory. The GetFactory method returns an appropriate strongly typed data factory based on a string value representing the provider name. For SQL Server, this value is "System.Data.SqlClient", for an OleDb database, it is "System.Data.OleDb". Once you create a data factory, you can use its methods to define other data access objects. In this example, the name of the provider is stored in a configuration file using the Settings feature in Visual Studio. (See this for information on settings in C# and this for information on settings in VB.) This allows you to change the configuration file to change the database provider used by the application. You will need to replace the property setting with a setting or provider name appropriate for your database. You can then use the data factory to create a connection object of the appropriate type as shown in the first Using statement. The code then defines the connection string. In this example, the connection string is also stored in the configuration file using the Settings feature in Visual Studio. You will need to replace the connection string in the example with a setting or connection string appropriate for your database. The connection is then opened.The connection is automatically closed at the end of the Using block. The second Using statement creates the command. In this case, the command is a stored procedure and the CommandText property of the command defines the stored procedure name. If parameters were passed in, the parameters are added to the command’s Parameters. The format of name of the parameter is dependent on the provider, so a switch/select statement is used to set the appropriate name. The third Using statement defines a DataAdapter, again using the data factory. The Fill method of the DataAdapter fills the DataTable with the data returned from the stored procedure. Since the code uses the Using statement, all of the objects are appropriately closed and disposed. The resulting filled DataTable is then returned. As an example, this is how you call this method. The code did not handle DbParameters correctly in the first draft of this post. This error was corrected in both the ExecuteDataTable method and in the calling examples. When I made the above edit, I neglected to update the C# function signature. Corrected it above. Despite the fact that there is a free version of SQL Server called SQL Server Express, there are still applications that require using a Microsoft Access database. But since these are dwindling in number, there are few articles or posts devoted to accessing Access. This post (and my prior post that demonstrates how to retrieve Access data) attempt to rectify that issue. NOTE: Be sure to set a reference to System.Data.OleDb. "Update Customer Set Title = ? Where PersonId = ?" The code begins by declaring several variables. The first variable is the Update statement. Change it to update the desired fields from the desired table. Use "?" as placeholders for command parameters. The connection string uses the Jet OleDb data provider. Change the connection string Data Source property to the directory and name of your Access database file. If you provide no directory (like in this example), it will assume that the file is located in the same directory as the executing application. The first using statement defines the connection. The connection is then opened. The connection is automatically closed at the end of the using block. The second using statement creates the command using the defined query and opened connection. Use the AddWithValue method of the command parameter’s collection to add the parameter names and values. There should be an AddWithValue method call for each "?" placeholder in the Update statement. Finally, execute the command using the ExecuteNonQuery method. This post (and my next post that demonstrates how to update Access data)attempt to rectify that issue. Dim query As String = "Select * from Customer"
The code begins by declaring several variables. The first variable is the Select statement. Change it to select the desired fields from the desired table. NOTE: Even though Select * was shown in this example, good programming practices dictates specifying field names in the Select clause and not using the Select * syntax. The code then creates an instance of the DataTable, giving it a name of Customer. Rename the table as appropriate for your application. The second using statement defines a data adapter. The SelectCommand property of the data adapter is set to the defined query and opened connection. The data adapter is then used to fill the DataTable. Use the technique defined here to display the resulting DataTable. There may be times that you need to read fixed length files into your application. For example, you obtain output from a legacy system or other application in a fixed length text file format, and you need to read and use that data in your application. NOTE: For more information on fixed length files, see this link. .NET provides several techniques for reading text files. This post focuses on how to read a fixed length text file into a DataTable. You may find it very useful to read your text file into a DataTable, whether or not you plan to use a database. Reading a text file into a DataTable not only saves you a significant amount of string manipulation coding, it also makes it easy to access the imported data from within your application. 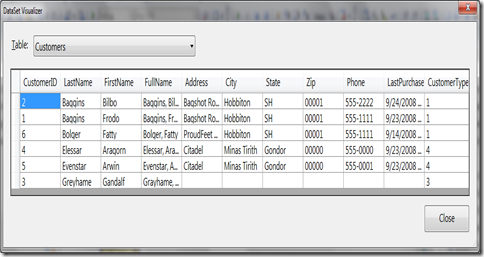 For example, you can use binding to bind the resulting DataTable to a grid or other controls. 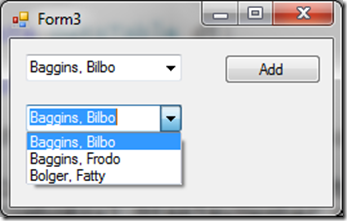 You can use Linq to DataTables like in this example to manipulate the resulting data. All of the features of the DataTable are then available to you. BIG NOTE: Many developers have ignored this technique because one look at the code and the developer assumed it is somehow associated with a database, it is NOT. This is referring to in-memory DataTable objects. The columns are a fixed width. There is no header row that provides the column names. You could add column headers here if desired. The file must be called schema.ini. The file must exist in the same directory as the text file. The first line of the file is always the name of the associated text file enclosed in square brackets ([ ]). ColNameHeader: In this case, there is no column header in the text file, so this property is set to false. The system will assume that the first line of the text file is the header unless you specify otherwise. Format: In this case, the format is FixedLength. The system will assume comma delimited unless you specify otherwise. DateTimeFormat: If you have a date in your file, you can specify the format here. See this link for more information on the contents of the schema.ini file. You can then read the file using the following code. Dim fileName As String = "testCSV.txt"
This code starts by declaring variables to hold the text file name, directory containing the file and the resulting DataTable. This technique only works with a standard set of file name extensions (see the NOTE at the end of this post). The file can reside in any directory. In this example, the file resides in the same directory where the application is executed. But this is not a requirement. The first using statement in the example code sets up the connection string for connecting to the directory. It sets the Provider property to use the Microsoft.Jet.OleDb provider. The Data Source property defines the directory containing the text file. The Extended Properties define that the file will be Text ("Text"). The Extended Properties must be within quotes, so double-quotes (VB) or slash quote (C#) are used to escape the quotes. If a schema.ini file exists in the directory defined as the data source and has a bracketed entry with the text file name, that .ini file is used to determine any other extended properties. So no other extended properties are defined in the connection string itself. The code then opens the connection, thereby opening the file and the associated schema.ini file. Since this code is in a using statement, the files are automatically closed at the end of the using block. The second using statement sets of the DataAdapter by defining a Select statement and the open connection. 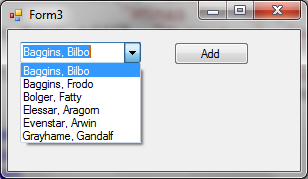 The Select statement selects all of the information from a specific file as defined by the fileName variable. The code then creates the DataTable, giving the table a name. In this example, the table name is "Customer". Finally, it uses the Fill method of the TableAdapter to read the data from the text file into the DataTable. Using the technique detailed here, you can view the resulting DataTable. The column headings were defined by the header in the text file. If you don’t have a header, the columns will be giving a default name. Note how the date in the above screen shot appears as a standard date column. Though this is not recommended. If you test this sample code by creating a text file with Visual Studio, the resulting text file will be in UTF-8 format. You need to save the file into ANSI format. The easiest way I found to do this is detailed below. Right-click on your project in Visual Studio. Select Add | New Item from the context menu. Pick Text File from the available templates and click Add. Type in the data for the test file or paste in the text from the example at the top of this post. Save the file within Visual Studio. This creates a UTF-8 formatted file. If you plan to use the directory of the executing application, set the Copy to Output Directory to Copy always in the properties window for the file. Set the Encoding to ANSI and click Save. There may be times that you need to read comma separated value (CSV) files into your application. For example, you obtain output from a legacy system or other application in a comma delimited text file format, and you need to read and use that data in your application. NOTE: For more information on delimited files, see this link. .NET provides several techniques for reading text files. This post focuses on how to read a comma delimited text file into a DataTable. It is a comma separated value (CSV) file. The first line provides the column names. This is optional. You can read this text file into a DataTable using OleDb as follows. The first using statement in the example code sets up the connection to the directory. It sets the Provider property to use the Microsoft.Jet.OleDb provider. The Data Source property defines the directory containing the text file. The Extended Properties define that the file will be Text ("Text"), it has a header (HDR=Yes), and it is in a delimited file format (FRM=Delimited). The Extended Properties must be within quotes, so double-quotes (VB) or slash quote (C#) are used to escape the included quotes. The code then opens the connection, thereby opening the file. Since this code is in a using statement, the file is automatically closed at the end of the using block. Most developers that work with DataTables know how to sort the DataTable using a DataView.Sort. If you are interested in that technique, you can view the msdn documentation here. 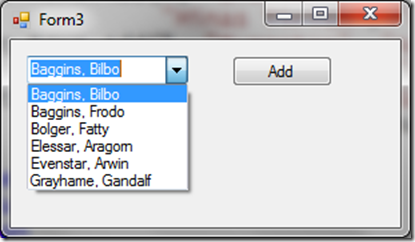 This post is about sorting using Linq. If you know ahead of time which columns of the DataTable should be sorted, you can use LINQ to DataTables like this. The dt variable represents the table you wish to sort. The AsEnumerable is an extension method on the DataTable that allows you to use Linq with it. The Order By clause takes any number of columns. You must specify the data type and then the column name or index. To sort descending, use the Descending keyword. A nullable DateTime (represented by DateTime?) ensures that the code correctly handles any null values in the table. In the above examples, the data is sorted first by LastPurchaseDate (ascending) and then by LastName (descending). The resulting DataView can be bound to a grid or other control. This code performs the same sort as the prior examples. But neither of these techniques work well if you want the user to select any number of columns to use for the sort. In that case, you need something a little more full-featured. The first step to building a more generalized sort is to build your own comparer class. This class defines a comparer to use when sorting a DataRow. The sortColumns property is a Dictionary that stores the index of the column to use as the sort, and a SortOrder to define whether to sort ascending or descending. Presumably, the values for this Dictionary were obtained from the user. The Compare method does all of the work. It compares any two DataRows to determine how each row should be sorted against any other row. The method processes each of the sortColumns. First, it checks for a DBNull. The DBNull checking is different in the C# code and VB code. The C# code checks for a DBNull and manually sets the result of the compare. The VB code simply sets the value to Nothing if it is DBNull. The code performs a compare based on the type of column. This is necessary because the user would expect decimals to sort as numbers, not as strings. 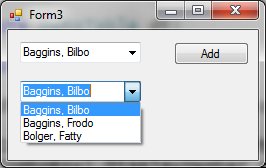 You can add any other data types here as you require. Any data types not specifically handled will be handled as a string. Note that a Select/Case statement was used in VB, but if/else if was used in C#. This is because C# requires its switch/case statements to switch based on constant values, not variables. -1: If the value of x is less than the value of y. 1: if the value of x is great than the value of y. 0: if the value of x and y are equal. If the resulting value is not 0, the loop can exit because the comparison is complete. If the resulting value is 0, meaning the columns are equal, the loop continues and the next column in the set of sort columns is checked. You then use this class as follows. The first set of code sets up the Dictionary of sort columns. The sort columns are hard-coded in this example, but presumably they would come from the user. The code then creates an instance of the new RowComparer class and passes in the set of columns. NOTE: You could define a parameterized constructor and pass in the sorted columns instead of using a property, if desired. The Lambda expression to perform the sort is then greatly simplified. It just passes in the desired comparer. That’s it. 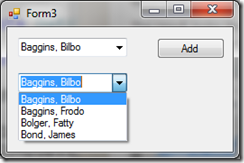 You now have the ability to sort your DataTable using any user-defined set of columns. As with most things in Visual Studio, there are many ways to export data from your .NET application to an Excel spreadsheet. This post covers one straightforward technique. Import the Microsoft.Office.Interop.Excel library in your code file. To keep the namespaces clear, consider using an alias. NOTE: C# also requires a reference to System.Reflection to use the Missing.Value field. This is required because C# 3.0 does not support optional parameters. Every parameter must have a value, so Missing.Value is used to provide a value for all unspecified optional parameters. The rest of the code is presented in VB and C# and then discussed below. It is provided in one big chunk to make it easier to copy/paste into your application. NOTE: The VB code code above is set up to run with Option Strict ON. The code begins by declaring the variables used in the code. Notice that in both C# and in VB this makes use of the namespace alias as shown at the very beginning of this post. The code then starts Excel and makes it visible. If you want to create the spreadsheet without making Excel visible to the user, you could set the Visible to false instead. A workbook is added, the active sheet of the workbook is referenced, and the sheet is given a name. The DataTable is then processed. You can use any DataTable here. The code loops through the rows of the DataTable and for each row it loops through the columns. The first time through the columns it adds column headings. To make the spreadsheet easier to read, the columns are then resized to show the contents of the cells. If you have lots of data in a cell, you may want to skip this step. The workbook is then saved. Since no directory was specified, Excel will save the file to your My Documents folder. Notice the massive number of parameters in the C# code when calling the SaveAs (and Close) methods. This is required because C# does not have optional parameters. So the code must fill in each and every parameter in the call. VB does support optional parameters, so does not need to set the extra parameters. NOTE: C# is getting optional parameters in .NET 4.0 (VS 2010). Finally, the code is cleaned up. Since Excel is accessed through COM interop, the double garbage collection code is added to ensure Excel is correctly closed. See this link for more information on why this specific garbage collection code is recommended.